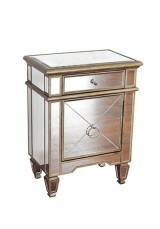 A smart bedside for those who need a larger unit with three drawers of storage Material: • Const..
A sweet little bedside with antique-style trimmings for an ornate finish Material: • Constructed..
A neat cube bedside with drawer and cubby hole for a display piece or your bedtime reading M.. 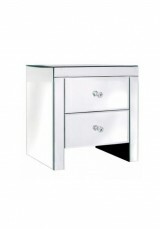 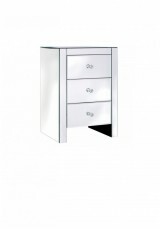 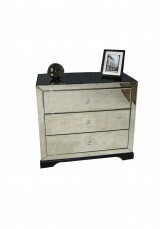 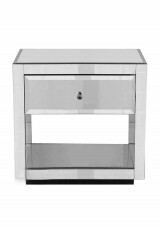 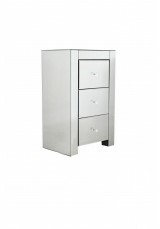 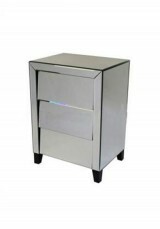 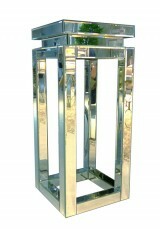 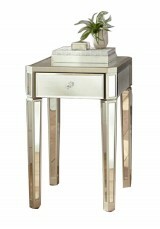 This elegant tall bedside has deep drawers, crystal knobs, champagne-silver trim and is silver paint.. 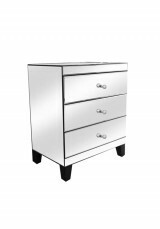 Elegant and slender, the Clarissa range features curved front legs and straight tapered back legs, f..
A smart modern mirrored bedside with clean lines and square feet painted black. 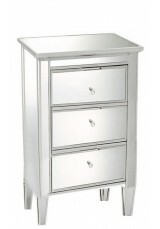 Note: This is 3 D.. The Daisey offers simplicity of style with the glamour of mirrored furniture. 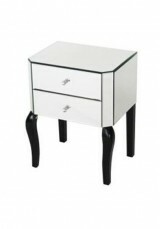 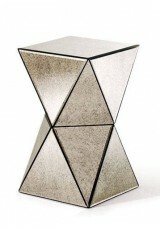 Contempory styling of ..
A nightstand of simple and pure design. 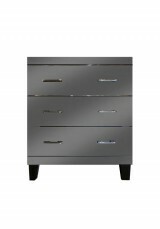 The three drawers have beautiful round glass pulls. 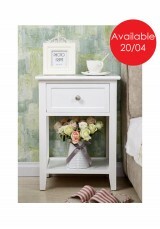 All outs.. 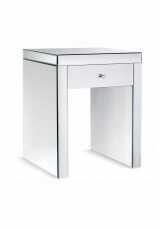 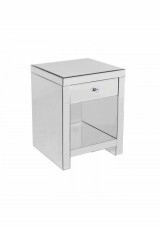 This bedside table comes with a fully mirrored cubby hole shelf - a handy storage space for books or..
A nightstand of simple and pure design with mirrored glamour Material: • Constructed with solid ..
A sweet, slender three drawer cabinet of contempory styling with crisp lines and symmetry. 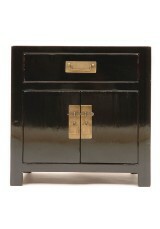 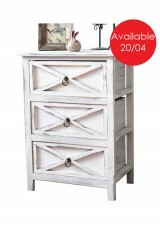 The Daise..
A sweet French country style bedside drawer with shelf Material & Construction: • Solid wood..